*Full content of the open call will be communicated in due time. 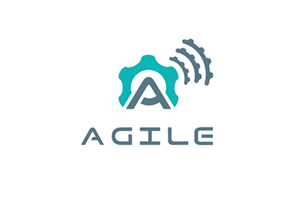 AGILE emphasises widespread and sustainable utility of resources by involving 3rd parties who will eventually integrate AGILE software and hardware components into their products. We expect them to deliver functional prototypes that can be released to the market, whilst also providing us with a valid business plan. We will support successful applicants in the integration, extension and adaptation of AGILE software and hardware in their products and services. Additionally, mentoring and business exploitation support will be provided by our incubator partner - Startupbootcamp. A second call will take place in February-September 2018. Learn more about AGILE here.